Only a short drive from beautiful natural areas and a variety of recreational activities, this Waldorf hotel offers many modern amenities, along with comfortable accommodations and friendly service. The Hampton Inn Waldorf places guests only moments from scenic trekking paths and excellent cycle paths. One of the area's largest shopping centres is also located across from the hotel. Washington, D.C. city centre is also within driving distance, and is ideal for a day trip. Guests at the Waldorf Hampton Inn are provided with a variety of thoughtful amenities, including a free hot breakfast. The hotel also offers comfortable Cloud Nine beds as well as free high-speed internet access. 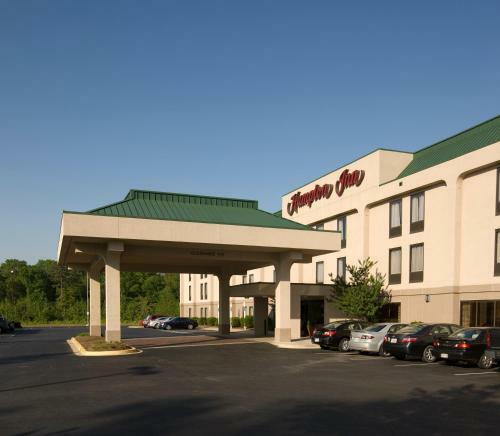 the hotel Hampton Inn Waldorf so we can give you detailed rates for the rooms in the desired period.